Today I was bamboozled by a monk! 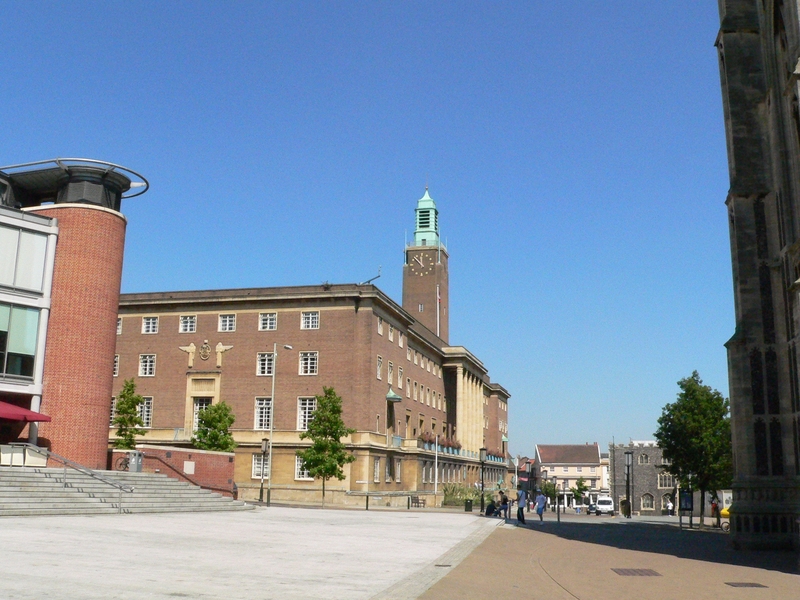 There is a certain spot in Norwich where the council allow charities and such like to collar people for donations. For years I have managed to run the gauntlet and emerge unscathed, but today, to my surprise, I got caught. Now, I’m all for giving to charities, and I always buy a Big Issue – I just don’t want to be accosted in the street by a person I don’t know. “You’re a smiley lady,” something went awry in the wiring of my brain and linked the two together. Stupidly I paused in my stride long enough for him to stop me altogether. The implication being that because he was a monk he wasn’t trying to take money off me. I could trust him. At that point he thrust a book in my hand. Now giving me a book is a bit like giving a chocoholic chocolate. I can’t say no. Then he thrust another book in my hand! He said “I am giving you these as we want to spread happiness in the world,” or words to that effect. Why would I even be interested in a book, you may well ask. Well, I am always intrigued to learn about different things – I will read most things, just to broaden my knowledge and ideas. I often go into the library and pull random books off the shelf and borrow them to read. Yet lately, with the development of social media, you can get something almost for nothing. PeerPerks give you free perks in return for an e- mail address and the promise of a tweet if you like their product. Just this week, I got 10 free films to rent from Blinkbox, I got whisky the other week, and am often invited to events and venues free of charge, so I was slightly less cynical than usual. There is a growing culture at the moment in marketing to give away products. There is also a little part of me, even having spent years as a hardened Londoner, that hopes that someone might someday be genuinely wanting to do good and help people, expecting nothing in return. As a business We often help people if we can, so we live our own lives trying to help others. Then my bubble of innocence dramatically deflated. But there was the black gaping hole waiting for it’s return “gift”. Luckily, I only had a few coins on me. So “enlightenment” came at a price, did it? How keen exactly was he to spread happiness around the world? He quickly took the books off me and slipped me a smaller book instead. And of course, on getting home, I see the famous “Krishna” name on it. All those years avoiding the chanting, bell ringing, orange robed krishna’s in Oxford Street, and I get caught in Norwich. I have nothing against any religion – in fact I stopped to talk to him as long as I did because I am always interested in learning more, but rightly or wrongly the krishna movement has had bad press in the past, and this experience has only validated my previous impressions. The whole transaction was a study in great salesmanship, but salesmanship that left the participant feeling inadequate. I would now feel no trust for this organisation, and would certainly never want to have anything to do with them. In business terms I would not be a repeat customer! They used some very clever techniques – giving you something to force a sense of obligation and building up false trust. I think he might have tapped me on my elbow or touched my arm, which is a technique to build trust, he got three “yes’s” from me and even though I was aware of all these techniques, he still suckered me into giving him some money! This lives up to most people’s impression of salesmen. It is what gives salespeople a bad name. Every business person is in essence a salesperson, for without sales there is no business, but people hate the thought that they are in “sales”. Even if you have brilliant sales techniques, if people feel they have been “sold to” rather than chosen to buy, if there is no trust, then there will be no repeat business. Surely better to build trust and help people to buy the right product from you when it is right for them, where both parties come out of the transaction feeling good. Of course, my excuse today is that I wasn’t really suckered, I was just studying his sales techniques, in the same way that I once invited that double glazing salesman into my home!